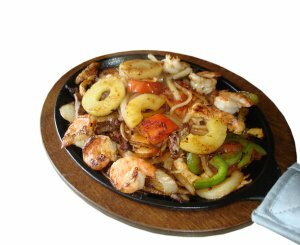 Mexican food has a long and rich history dating back to the ancient Mayan people. Many countries around the world have influenced the traditional Mexican dishes. The result is wonderful blend of the traditional Mayan tortilla and bean spread with meats, cheeses, and spices that we enjoy today. Creating the tastes from south of the border is easy. You'll find traditional Mexican recipes in this section of tips including salsa and enchiladas. As you work to create a piece of Mexico, your family will experience a part of another culture, all without any extra effort. The following articles are available for the 'Mexican' topic. Click the article''s title (shown in bold) to see the associated article. If you and your family enjoy having Mexican food, then you really can't go wrong with beef enchiladas. There is a trick to having a good enchilada dinner though, and that is to follow a great recipe. Here is a fantastic beef enchilada recipe that you will simply love. Chicken enchiladas are a tasty Mexican dish, but they can often be filled with unwanted fats and carbs. This recipe is a healthier version of an ethnic favorite. Whether it is used as a snack, side dish, or main entree, chile rellenos are always popular. While it can be a little difficult to make for a new or inexperienced home chef, the work is well worth it. Here is a great recipe that you can use to enjoy the great tasting, cheesy goodness that is chile rellenos. If you're ever in need for a quick dinner, you need a few good ideas. Try making some homemade bean dip for a dinner that everyone will love! Salsa is always a crowd pleaser and homemade salsa is even better. Here are a few recipes for you to try out and then you'll be able to throw the best party around town! A dish that many people seem to love is enchiladas. This is a wonderful dish that is not difficult to create, if you just use this simple recipe.